“For years physical travel agents have applied psychological tactics such as telling customers there’s a limited amount of rooms left in a hotel or creating large idyllic images in store. Limited-time-only deals have also proven to be very effective, so it’s no surprise that these tactics are also widely used online. However, it can prove even harder for travel vendors to deploy these techniques on their online platforms, as consumers can feel overwhelmed by how many deals come up online which can lead to a ‘deferral of choice’. Customers may also feel that finding a holiday online isn’t as personalised as finding one with a professional at a physical store, as online options may not feel tailored to their specific demands. Recent online scams, as documented by The Times, lead to an investigation which found travel companies guilty of faking information about the number of rooms available. 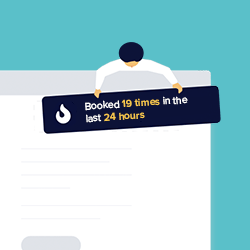 It also referenced times when the price of a holiday actually decreased after the company’s sales had ended, which unfortunately suggests that some of the information posted on travel vendors websites has been misleading and often untrue. Evidently, scams like these have led to many customers becoming dubious to the transparency of travel vendors, resulting in customer trust becoming dented and booking conversion rates ultimately dropping. Social proof is the idea that humans are driven to conform and that we are influenced to copy each other’s actions and decisions, mostly when we are unsure of our own choices. This idea makes a holiday seem more desirable, as we feel a strong compulsion to follow the behaviour of others. Travel vendors can play on this tactic by utilising social media networks. If a company has a large amount of followers or mentions they will see a rise in their sales, as more customers can trust the brand. Therefore, by nurturing and increasing your social media following, you can positively influence the judgement of your site. They can also make reviews of hotels or holiday packages prominently available, and use coloured icons that indicate which options are most popular. Ambiguity during the process of purchasing items can put customers off quickly. Providing clear information on what will happen when a customer clicks directly on a link and avoiding the use of vague information around discounts and offers can reassure customers. It’s a good idea to create regular processes for user testing to help to pinpoint any areas of confusion and fix them immediately. 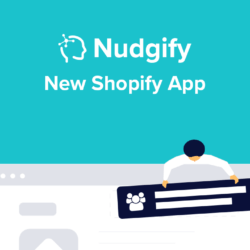 This can either be done with surveys that appear after a purchase (so as not to distract from the conversion), or by asking people who don’t work on your website to go through the sales funnel and identify points where something isn’t clear or concerns them. As holidays are an expensive purchase for many people, customers will often require a lot of reassurance before they commit to parting with large amounts of money. 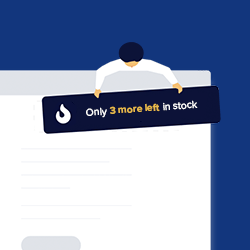 Notifications that pop up whilst a customer is wavering whether to purchase or not will draw their attention in a way that the same information wouldn’t if it was just written somewhere on a page. These notifications can use consumer psychology principles such as Social Proof (mentioned above), Urgency, and Scarcity. Scarcity relates to the discovery that when something is limited or scarce, we place a higher value on it. Both this and a time limit, which creates a sense of urgency, can turn hesitating browsers into buyers. For all of your customers, the more information they receive on a potential holiday destination or aspect of their booking, the more confident they feel when ultimately making a purchase. This effect is called information bias, and it helps customers to believe they are making a well informed decision, even if some of the information included isn’t relevant to them. For example, there may be extensive information provided on the hotels sports facilities which is interesting even if you have no intention of using them. By using information bias, travel vendors can make their customers feel secure by providing plenty of detail. This rule of providing as much detail as possible and including frequently asked questions should be applied when products and offers are displayed online. Images of a hotel at different angles or even a video tour will help customers to feel more informed when making a booking. Messages that include information about the scarcity of products/rooms, or that provide reassurance around payments, are helpful rather than manipulative. Increasing the information that is available to customers should also increase post-purchase satisfaction.